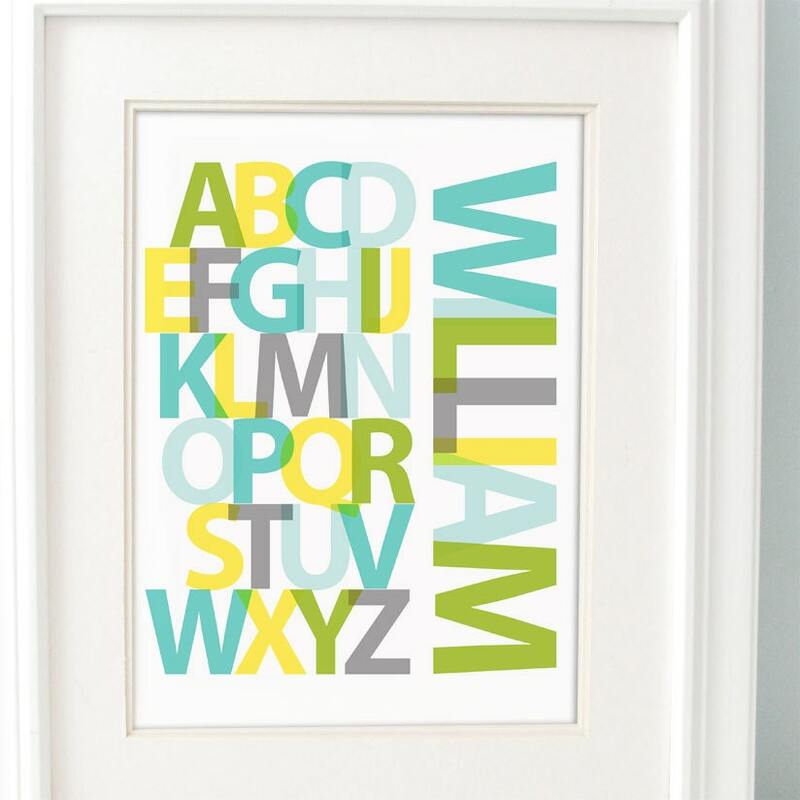 This print grows with your child. 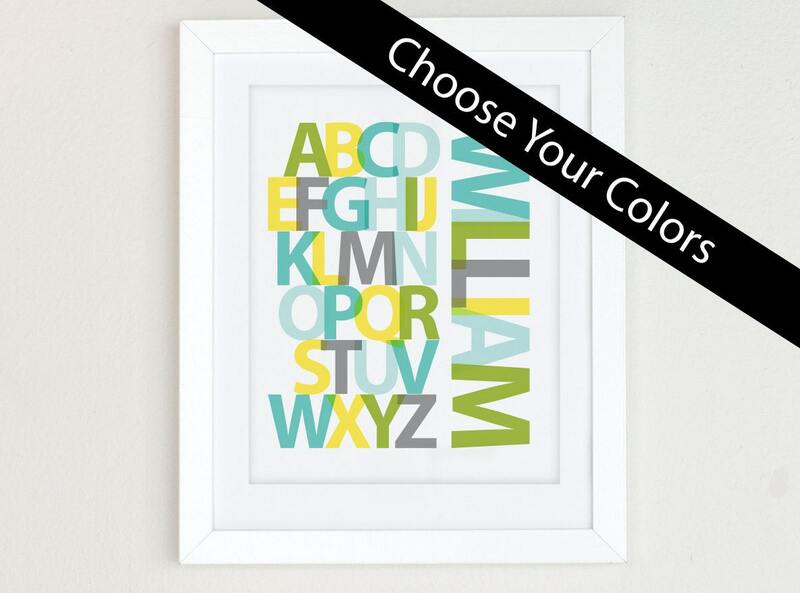 The contrast and bright color is attractive to baby and helps toddlers/preschoolers learn their letters. 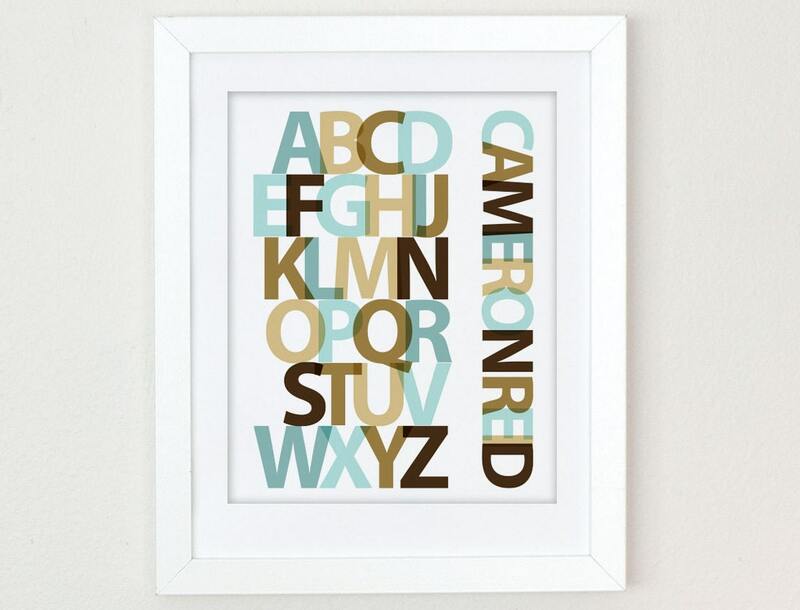 This modern print can transition into an older child’s room with ease. AND, it makes a great shower gift! If you don’t know the babe’s name yet a simple tiding like, “baby fitzgerald” or “little one” still add a personal touch. 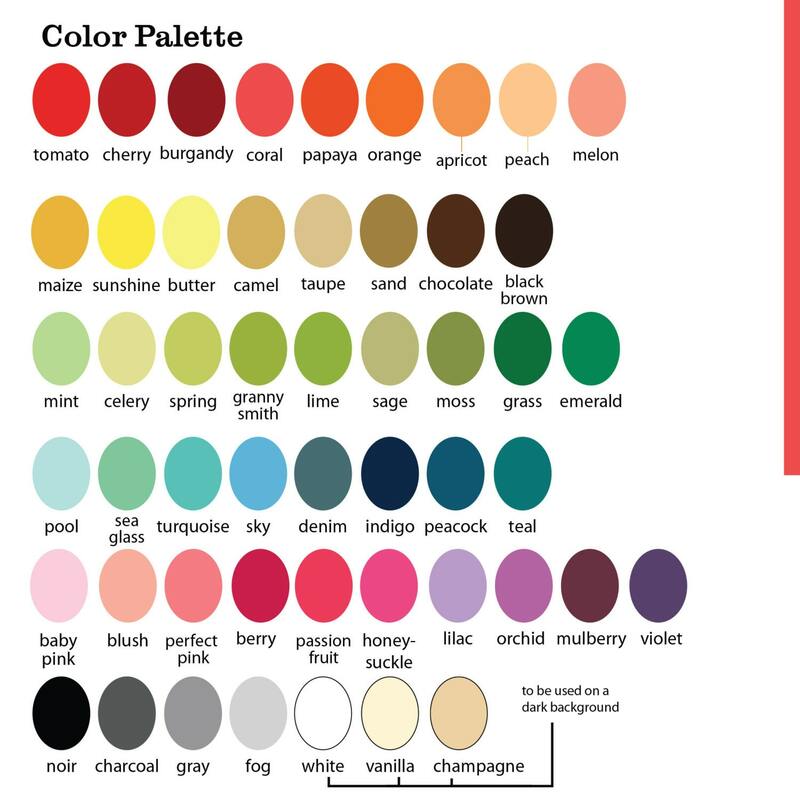 In the notes to seller portion of checkout please include your top 3-5 colors from my color palette (shown above) along with text for personalization. It works out nicely to include two color families (like, blues and greens) plus one neutral. I will combine your text and colors and you will receive an email with a sample proof within 7 days. Please reply with your approval or desired changes. Once you love and approve your sample proof we'll carefully wrap and ship your piece. *Please note image area on 8" x 10" prints fit an 8" x 10" mat but are printed on 8.5" x 11" paper. Just include a message at checkout if you'd like your print trimmed to 8" x 10" instead. - 11x14 prints are carefully rolled in a crush proof tube after being tucked a cello bag. - Images shown in listing are samples only. This listing does not include a mat or frame * If this is a gift let me know and I’ll include a note for you before shipping. Just darling!! Super amazing shop. She's made 3 of these for my 3 boys. Fast shipping and stellar customer service. Will shop again for sure. Thanks for everything!! Beautiful print, outstanding customer service and super fast shipping. I cannot recommend highly enough - thanks so much Rachel! My son's new wall art is so cute! Thank you so much.